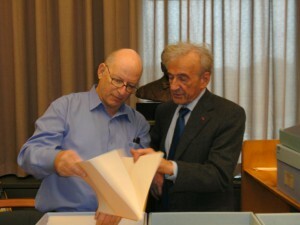 This time it’s about the most famous book of Elie Wiesel, “Night”. We learn here that Dr Joel Rapel – who was the director of Elie Wiesel’s archives in Boston for years – found there this manuscript in Hebrew! Nobody knew until now that Wiesel wrote a version of “Night” in Hebrew because it has never been published. The text in Hebrew is different than the one in French. 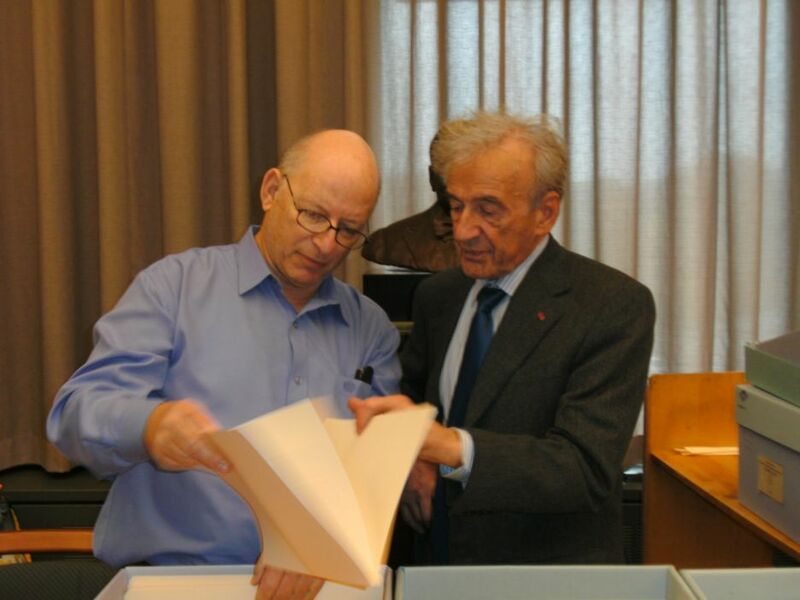 Another interesting point in the article, though we knew it before from another source: Elie Wiesel holds letters that Chouchanu/Shoshani wrote him! Under what name did Chouchani sign his letters? good question… It’s important to stress the fact that Elie Wiesel has always maintained that Chouchani’s real name was Mordehai Rosenbaum. This entry was posted in Uncategorized and tagged Chouchani, documentary movie, elie wiesel, emmanuel levinas, film, genius, Hebrew, Jewish, Joel Rappel, kaballah, letters, levinas, Michael Grynszpan, monsieur Chouchani, Mordehai Rosenbaum, mysterious, mystery, rosenbaum, secret, shoshani, גאון, מכתבים, מר שושני, שושני on May 2, 2016 by Monsieur Chouchani.